Antoniolupi design, headquartered in the heart of Tuscany, between Vinci and Cerreto Guidi, is a world-renowned company for the beauty and fineness of its bathroom furniture, and not only. 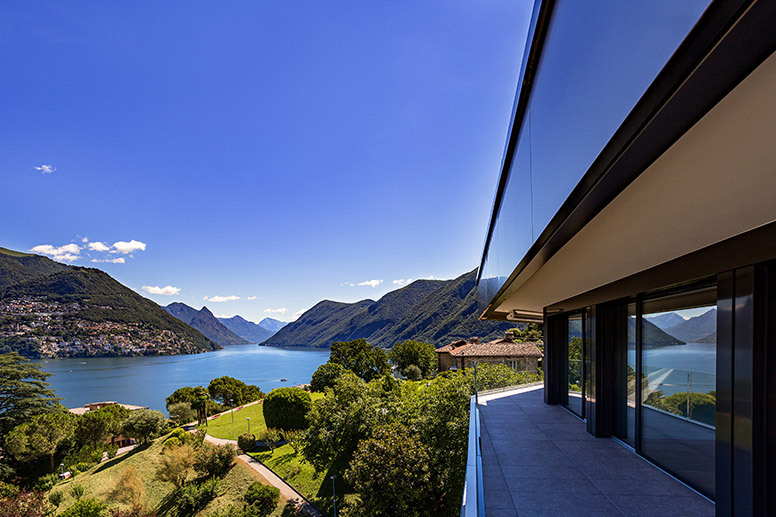 The firm was established by Antonio Lupi, the forefather of the family that to this day is running the company. Born in 1932, he wasn’t even twenty years old when he began producing furniture crystal and glass. Later on, he started dealing with mirror manufacturing; he made his first street furniture creations at the beginning of the 1960s and he opened a new factory in 1969. 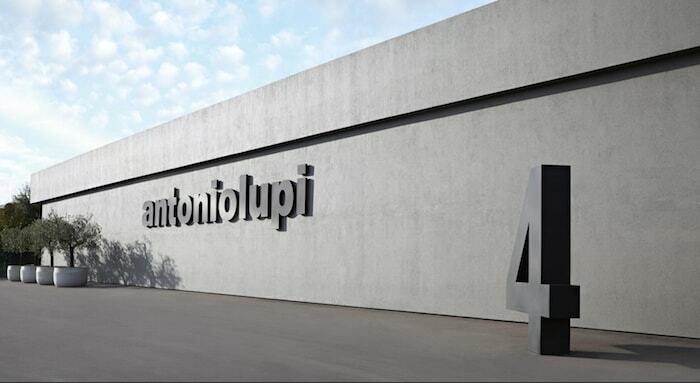 In the mid ‘80s, when Antonio’s sons and daughter started working with him at the family company, antoniolupi began expanding its business with a presentation at CERSAIE, the most important showcase in the field (the acronym stands for “Salone Internazionale della Ceramica per l’Architettura e dell’Arredobagno”, in English it’s known as the International Exhibition of Ceramic Tile and Bathroom Furnishings). Because of the company’s rapid growth, also due to the creation of the first essential and geometric washbasins, the headquarters were moved to Stabbia in 1991, a hamlet of Cerreto Guidi, Florence. In 2002, antoniolupi designed its first Corian collection, which perfectly responded to the minimalist trend of the time. That was just the beginning of antoniolupi’s research in the field of cutting-edge materials, that the company pursues to this day. The company was left in the capable hands of the founder’s daughter and three sons and it currently has about eighty employees. Its philosophy is focused on the creation of unique products in order to offer the final customer a fine and extremely elegant total look. 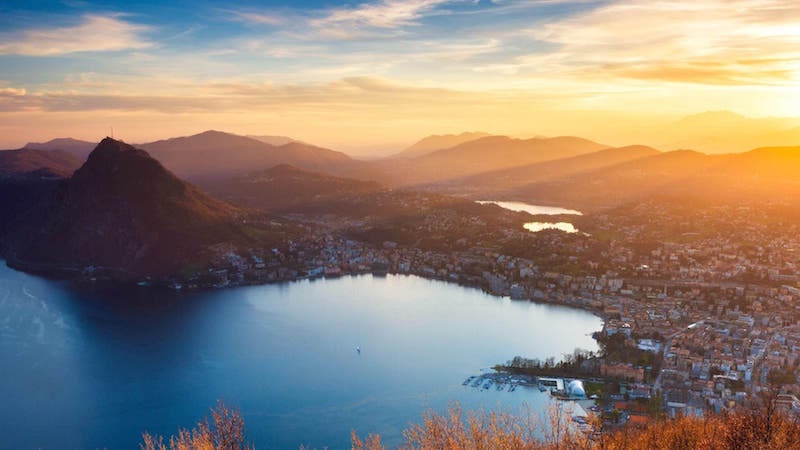 The key elements that have allowed this brand to grow, from a small family business to a major world-renowned company, reaching 52 countries with single-brand showrooms or affiliate suppliers, are customer focus, the products’ high-quality and the wide range of solutions that the brand has to offer. A bathroom antoniolupi(or “Antonio Lupi”, but it’s correct “antoniolupi”) is the quintessence of elegance, of clean shapes and of materials research and technology, combined with traditional materials that are reinterpreted and adapted to the present. One of the new items that were displayed this year at the Salone Internazionale del Mobile di Milano (the Milan Furniture Fair) is the washbasin Intreccio (that literally means “twist”), designed by Paolo Ulian. 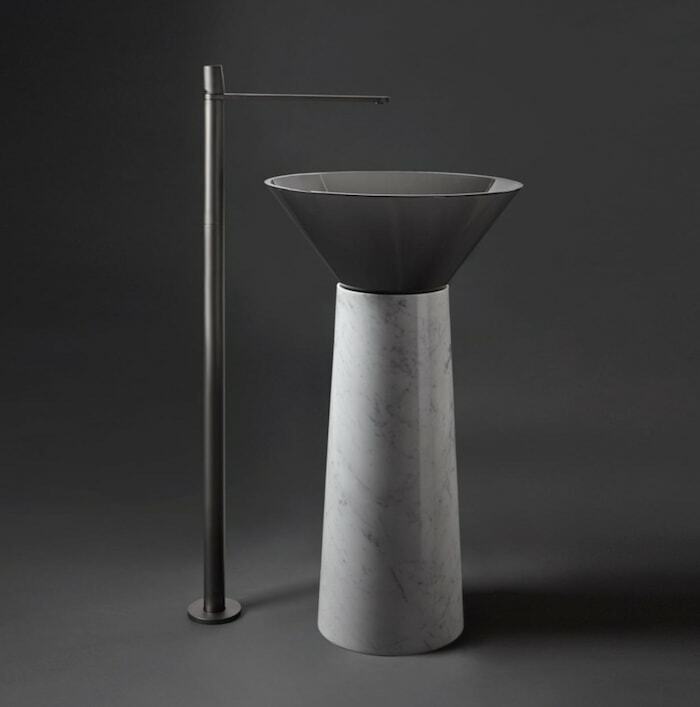 This free-standing washbasin, made entirely out of marble, is a continuous play of lightness of the shape, that resembles that of a flower, and robustness of the material chosen. It’s the result of the research pursued by the brand antoniolupi design and Paolo Ulian on revisiting old materials while using new techniques. In fact, thanks to numerically controlled manufacturing techniques and stone-cutting, it is now possible to create thin and curvilinear shapes. The overall effect is a great sense of spaciousness, and the play of solids and voids, of light and shadow can be seen from all angles. 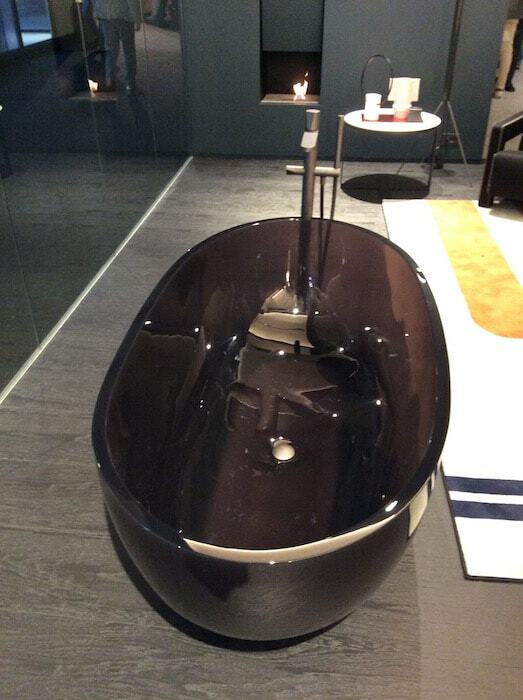 New and traditional materials blend into the washbasin Albume (Italian for “egg white”), designed by Carlo Colombo. 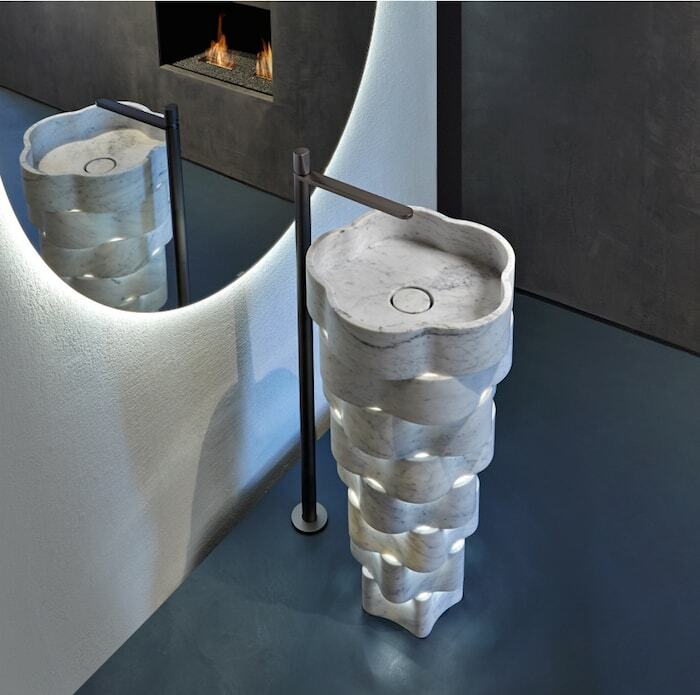 This free-standing washbasin is the celebration of opposites, as it emphasises the superimposition of different geometric shapes and materials. While the pedestal conveys great solidity, not only because it is cone-shaped but also because of the material, the basin itself, made of the innovative transparent resin Cristalmood®, lets water be in the spotlight. Albume plays with the colour contrast between the resin and the veins of the marble used for the pedestal, thus it perfectly integrates into fine bathrooms. Cristalmood, a new material resulting from the constant research pursued by antoniolupi, is an extremely resistant next-generation resin, made from high-quality polyester resin and colour pigments. It comes in different colours to best adapt to the designers’ creativity and the customers’ needs. This material, specifically made for producing washbasins to be matched with various materials, was already used to manufacture the bath tub Reflex because of its extraordinary characteristics. Thanks to the peculiar composition of this innovative material, the items made of Cristalmood® weigh approximately 30% less than the ones made of Flumood®, another innovative material patented by antoniolupi. Flumood® can be defined as a solid surface, a material mostly consisting of aluminium hydroxide and low-styrene synthetic resins. For the washbasin Poggio, designer Nevio Tellatin has chosen a compact shape that combines straight lines and curved surfaces. This basin is large and spacious, although it only takes up a small area. 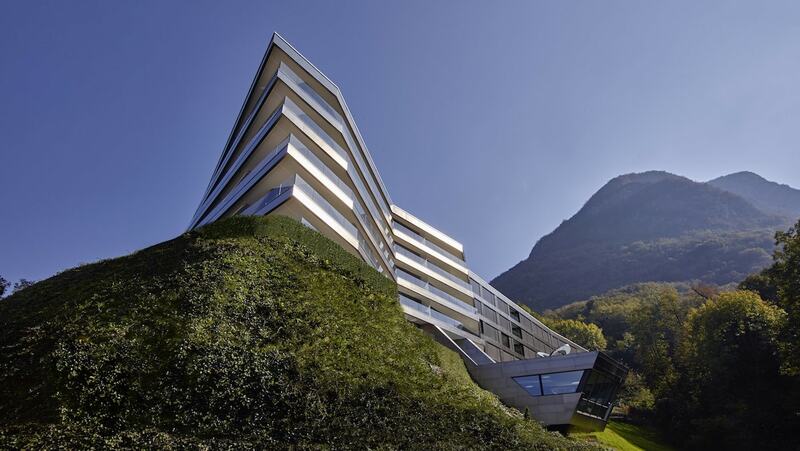 Its true peculiarity is its height, that makes it not only pleasing to the eye, but also very practical. This soft and basic language is highlighted even more by the material, Flumood®. 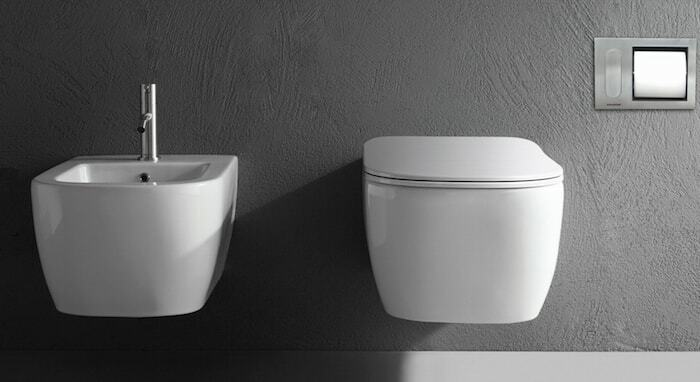 Among the numerous products by antoniolupi you will also find toilets and bidets, such as the ones included in the collection Komodo, designed by AL Studio. With its clean, essential and almost minimalist shapes, Komodo is a collection of toilets and bidets that stands out by combining simplicity and elegance. The toilets and bidets are wall-hung and the drainage system is therefore built in the wall. They are made of ceramic with a polished or matte finish. Among the shower heads by the Tuscan company, Meteo (meaning “weather forecast” in Italian) is definitely the most eye-catching. A true shower of water and light, with a ceiling built-in source, as if you were under a natural waterfall. Nevio Tellatin combines in Meteo formal minimalism and high-tech innovation, in order to convey a unique sensation. 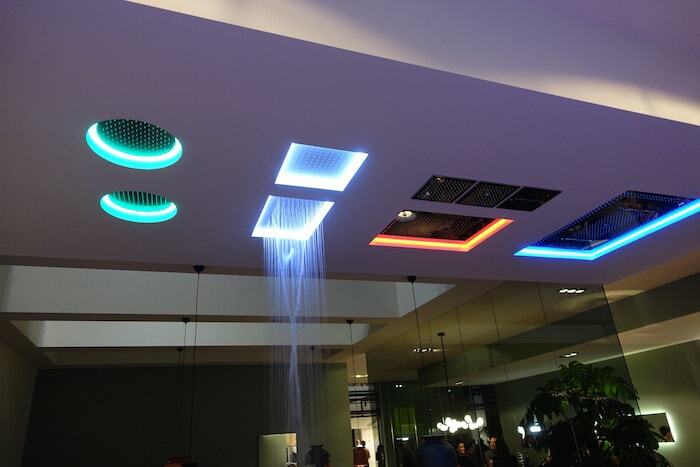 Meteo is available in the square and rectangular version, and it consists of a wide waterfall-like perimetral water jet, combined with light. Tradition and innovation have therefore allowed antoniolupi to become one of the world’s leading companies in the field of bathroom furniture. 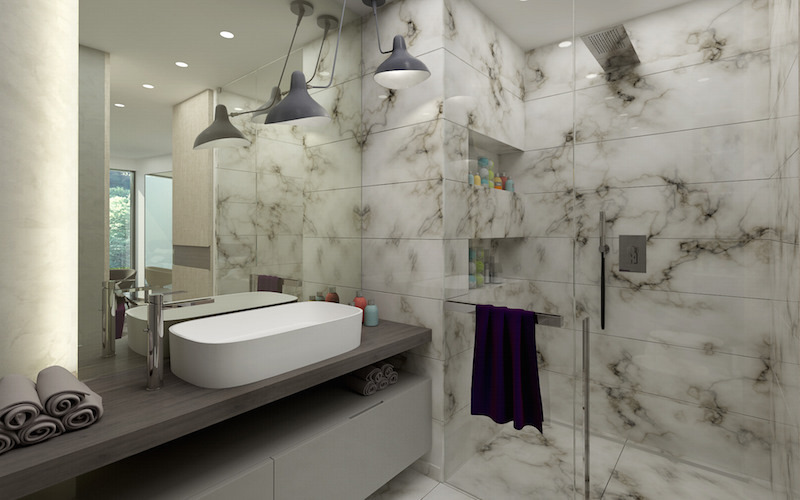 Are you looking for an apartment with bathroom furniture by antoniolupi? 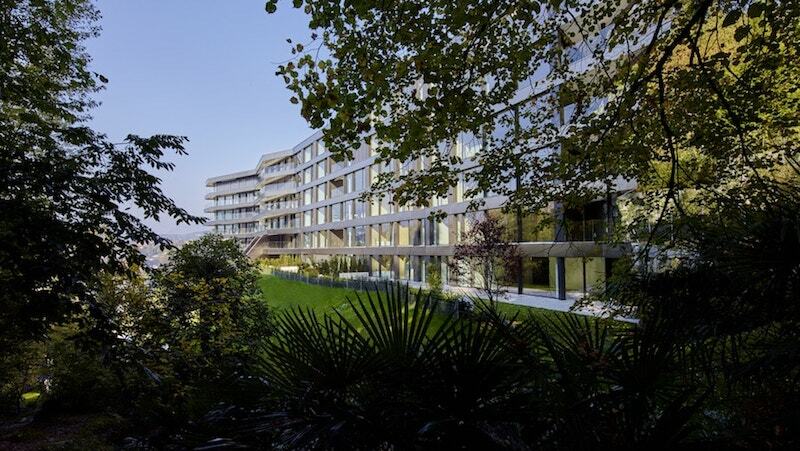 The Nizza Paradise Residence offers these features. Find out more and ask for further information. A member of our staff is always available.